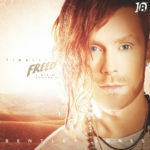 Unveiling the 2nd volume in his remix series - "Finally Freed" is a revisit to his much beloved 2010 EP. Each song has been loving restored with new vocals, new mixes and in places a whole new arrangement. The physical edition has a bonus disc containing the full 2010 EP in its unedited original glory for the first time ever.